In this week's episode of Intruders Jack gets some explanations and learns an unpleasant truth. If you stuck with the show, this episode is where you start to get some payoff. Spoilers ahead. 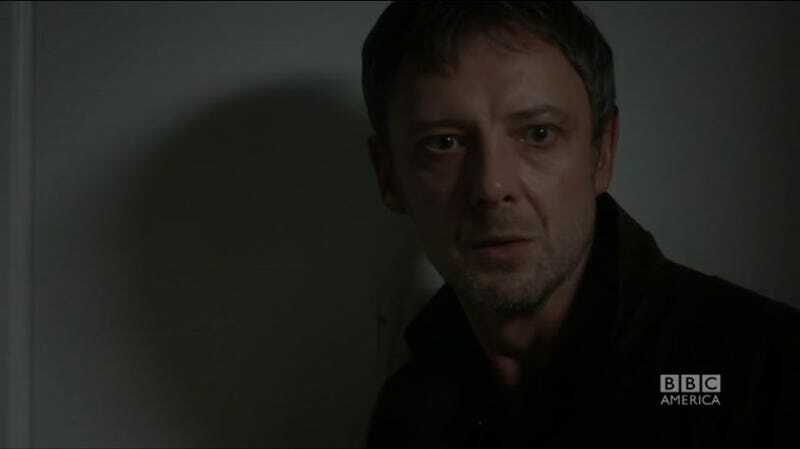 It's been implied in earlier episodes but in "The Shepherds and the Fox" it's confirmed that Marcus is a serial killer. His bad code is probably why Qui Reverti wants him permanently dead. Marcus Fox draws unwanted attention to himself and the other intruders. Madison visits Marcus' old home. Madison is able to call her mother before Marcus takes over and gets stabby. Richard once again screws up killing Madison and she gets away. I wonder how the police will read the scene. Richard was wearing gloves but Madison's fingerprints are probably still on the knife. If nothing else, they'll know she was there around the time of the murder because of the phone call. Richard has his own problems since his old mentor Frank is looking for Marcus and whoever helped him return. Frank is also doing his own off the books job. That job is Jack. Frank meets him on a pier and indirectly drops the name Rose Gilchrist. Frank is there to kill Jack but Richard shows up and kills Frank instead. But they aren't buddies just yet. Richard warns Jack that if they meet again it will because Richard was send to kill him. Jack then goes to see Gary who conveniently omitted mentioning he was no longer working for his law firm. It turns out Gary experienced the effects of Bill Anderson's ghost machine. Gary says that everyone has two souls and Anderson's machine revealed the second souls. He realized that his daughter also has the soul of Donna, the girl who killed herself at the beginning of the show. Gary explains that he's sure Rose Gilchrist is staying in the room across the hall from his. Jack observes through the peephole as Richard arrives and the door across the hall is opened by Amy, who unsurprisingly is now confirmed to be Rose. Does Rose simply want Jack out of the way because he's learning too much? But why would that need to be off the books? Or is it part of a conflict between Rose and Amy? I wonder if Jack may be recruited to be a Shepherd like Frank and Richard. It seems like a way to deal with a man who knows too much without killing him.